Rad Show: A Real Bronx Jeer! Hello there Ladies and Gentlemen. 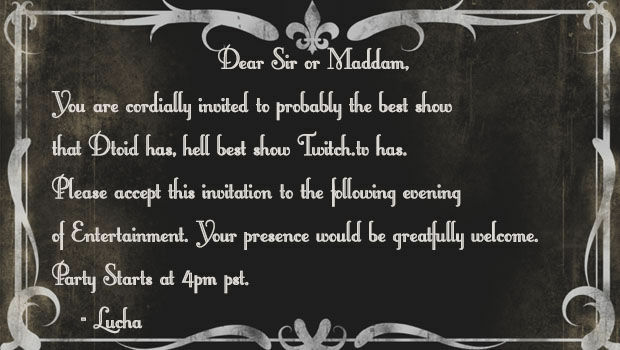 For I would have mailed you an invitation, but I don't have your address. So please take the following message to heart, and I hope to see you at the unveiling of the new Johnny Luchador on the Rad Show. A grand ol' time is amongst us. Who knows what I'll play, probably something weird like always, but it's not about the games, it's about having fun and giving you guys a show that's worth your time and viewing pleasure. As you all know I have a formula that has been successful at making you laugh, making you cry, and making you ask yourself what the hell you just watched. This won't change, but the character will for the better. 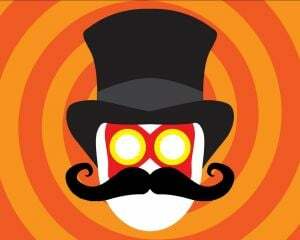 So head over to Dtoid.tv at 5 til the hour and brace yourself for a elegant event of awesome. Feel free to throw me tokens and eaglemans. Make sure to leave you thoughts on your experience tonight in this comments thing. For your kind words are greatly appreciated. Any negative words will issue you to be challenged to a bare knuckle boxing match over in the public library in the Tenderloin.